This 2R, high-end reflector lamp, produces a sparkling, bright light that eliminates shadows and reproduces brilliant and vivid color. 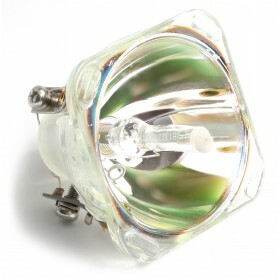 The light output is equivalent to an MSD lamp of 300W, yet energy consumption is only half. Moreover these benefits can be enjoyed over the 2,000 hours lifetime.